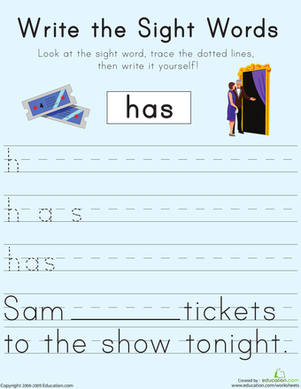 Write the Sight Words: "Any"
Is seeing really believing? 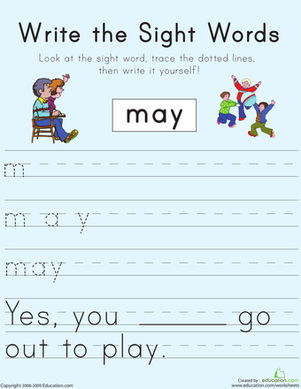 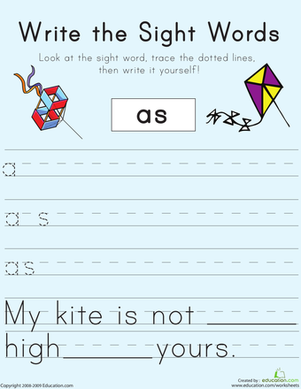 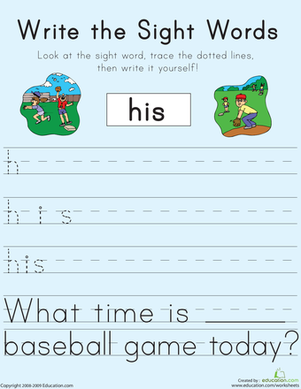 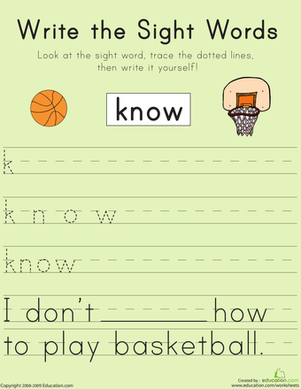 With this worksheet, your child will not only see the sight word, but he will practise using it by writing it out. 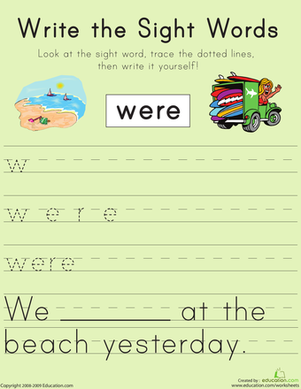 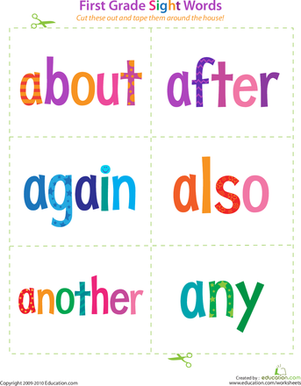 This worksheet will help your child learn the sight word "any" by having him trace the different letters in the word and then using it in a sentence. 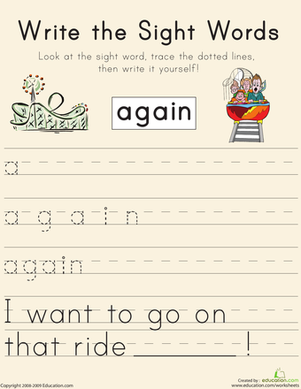 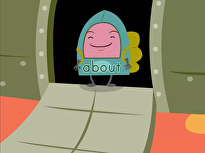 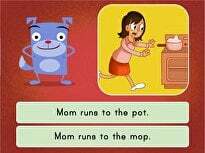 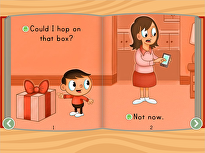 Learning sight words will help improve your child's reading skills. 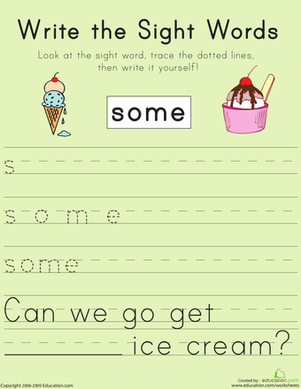 Help your child learn the sight words any, them, over, and let with this printable phonics worksheet. 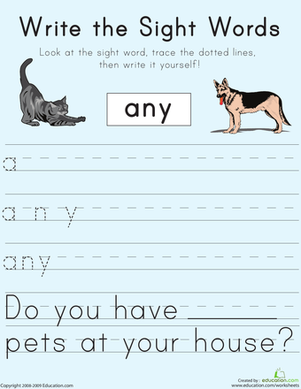 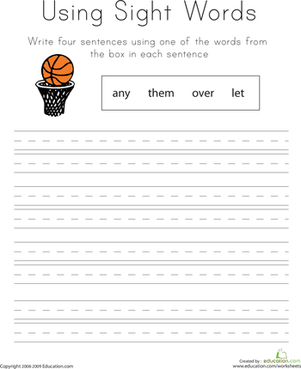 Write the Sight Words: "Could"
Looking for a phonics worksheet to help your child with sight words? 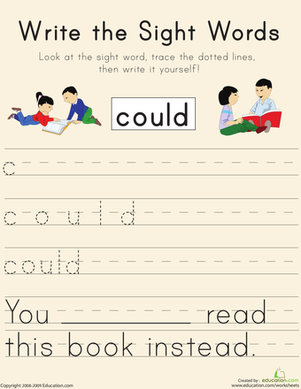 This printable will help him practise the word "could".